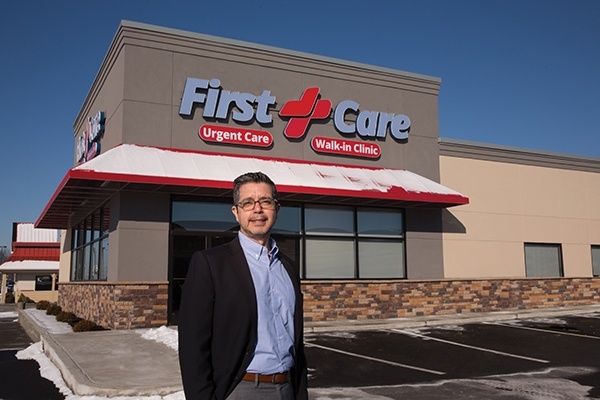 Stearns Bank has built a strong reputation and successful track record in financing urgent care clinics across the country. Our team has helped doctors and entrepreneurs with financing for their start-ups, acquisitions, builds and expansions. We understand that urgent care practice owners face busy schedules and multiple priorities. So we deliver comprehensive financing solutions with personal attention, streamlined documentation and fast loan approval process. Stearns Bank works closely with you to understand your business challenges and all costs associated with launching your practice. Your loan will be structured to ensure strong cash flow as you build patient volume and grow revenue. Our Customized Portal is a seamless and secure way to provide documents needed. The efficiency and convenience of the Customized Portal gives you real-time visibility to the progress of your financing request. When you're ready, call Jeremy Goltz and Joshua Borgerding at 1-888-320-2899 to learn more about financing options and get your urgent care project started.